An investigator for Jeff Bezos, Amazon’s boss, said that Saudi Arabia hacked Bezos’s phone and accessed all of his data. Gavin de Becker was hired personally by Mr. Bezos to find how his private messages have been leaked to the National Enquirer tabloid when they published that Amazon’s boss had an affair. The investigator linked the hack to the Washington Posts’ coverage of the murder of Saudi writer Jamal Khashoggi at the Saudi consulate in Istanbul. Bezos is the owner of the Washington Post and Mr. Khashoggi had been writing for the Washington Post. There are no comments from Saudi Arabia. Findings of the investigation come after Mr. Bezos accused the National Enquirer’s parent company American Media Inc. He accused them of blackmailing, saying they have threatened to publish his intimate photos unless he said that the reporting from tabloids was not politically motivated. Saudi Arabia has denied any involvement in Mr. Khashoggi murder. Their embassy in Washington has not responded to a request for comment on the latest allegations. Also, AMI has not commented on the allegations. 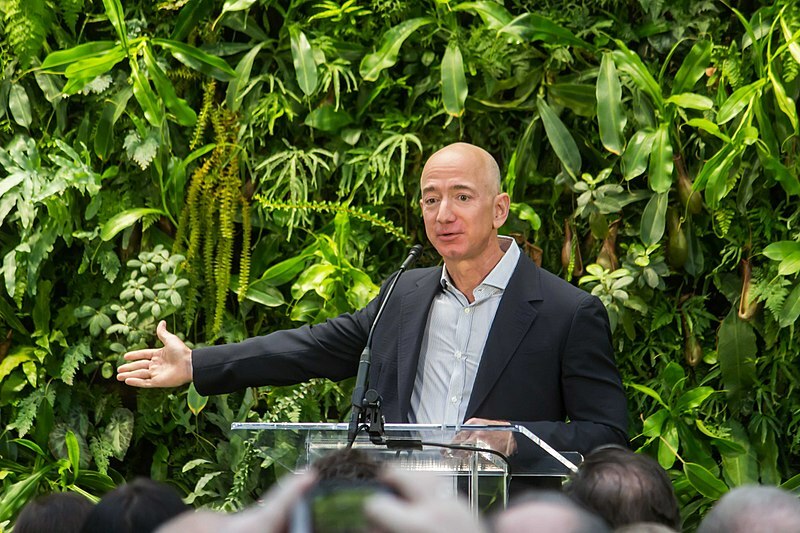 They previously reported that they acted lawfully in reporting on Mr. Bezos’s personal life. How Much Banks Spend on Technology? Big corporations spend a lot of money on technology. They have to provide their customers with systems that guarantee privacy and safety, and that always costs more money. Big banks also have bigger needs compared to smaller banks, therefore overall they spend more than smaller financial institutions. This is not news! Shopping online changes the way we get things we need, and it changes the way companies operate, how they do business and how they decide to sell and market their products. Many companies vanished when they did not recognize the need to change their business, and it’s not over yet. We all buy stuff online, whether it’s Amazon, Ali Express or eBay. We are more compulsive when it comes to online shopping, everything is just one click away. We are lazy to go outside and buy something when we can just find it on Amazon. Online shopping has become a big part of our lives at the expense of buying in physical stores. As a result, the classic retail market is suffering, and big retail chains are choosing more online shops than physical stores as they are becoming unprofitable and do not provide everything that customers need. If retail corporations are not realizing how far-reaching this change can be, they could vanish overnight, and this trend is going to increase in the upcoming years. The online sales market is worth around $2.8 trillion in 2018 and by 2021, it is expected to be worth approximately $4.8 trillion. The change of $2 trillion will affect businesses and customers around the world. The change means that we have more online opportunities to grow business and that existing companies must change the way they operate.